Unless you’re actively looking for The Better Half, you’re unlikely to stumble across it. Tucked down a quiet side street, just back from Hove seafront, it opened in 2015 and has been a firm West Hove favourite ever since. Every time I come here, I feel like I’ve discovered a special local secret. Visiting last Thursday with my partner Tommy, we were here to try the new winter menu. The bar was busy with drinkers, almost every table was booked, and there was a truly warm and welcoming atmosphere about the place. 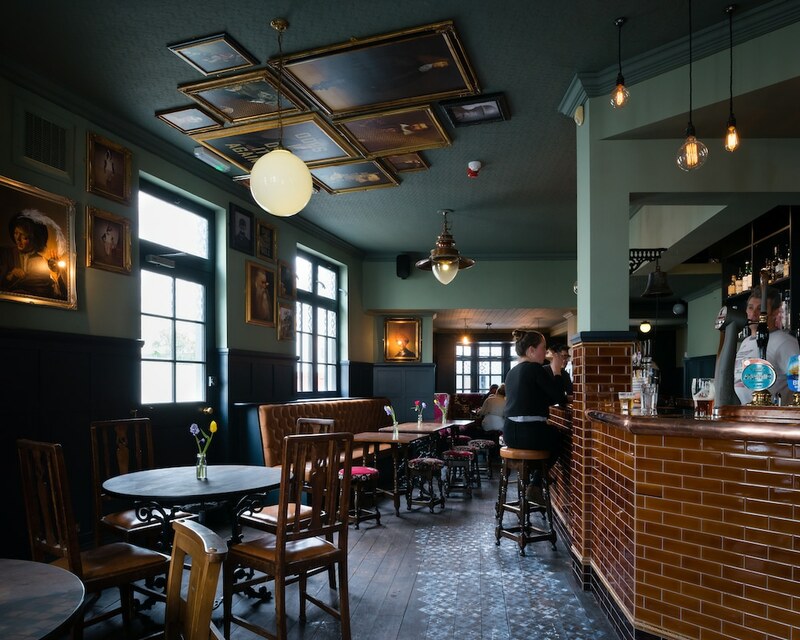 Dark panelled walls, filament bulb lighting, a wood burner and quirky artwork createa cosy ambience that’s somewhere between an authentic pub and a quirky Brighton hideaway. We made ourselves at home in a little booth with soft leather seating and a flickering candle, beneath the watchful eye of a framed cat called Mickey. 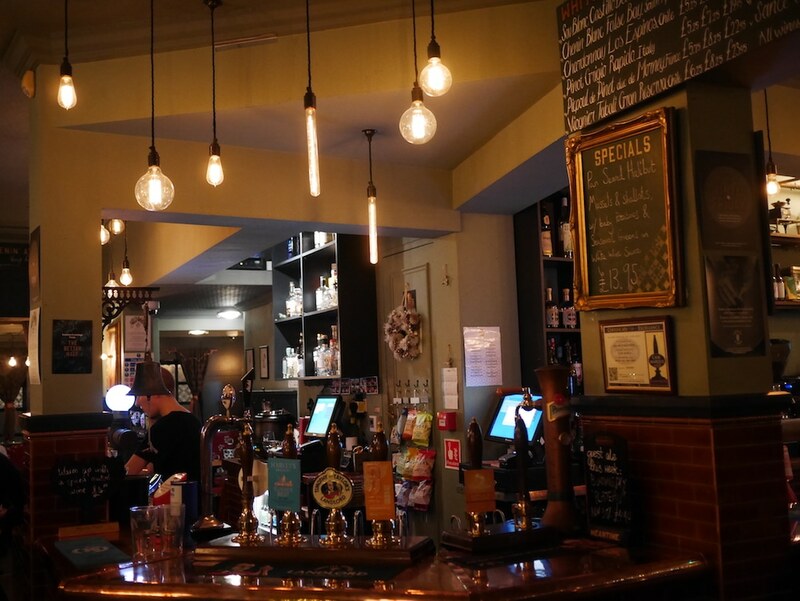 The pub’s array of lagers and beers includes local classics and modern brews from Harveys, Bedlam Brewery and other trendy microbreweries. Tommy was pleased to see his favourite local ale, Burning Sky’s Arise, available on tap. I went for a glass of Garnacha Borsao, a fruity and warming Spanish red. 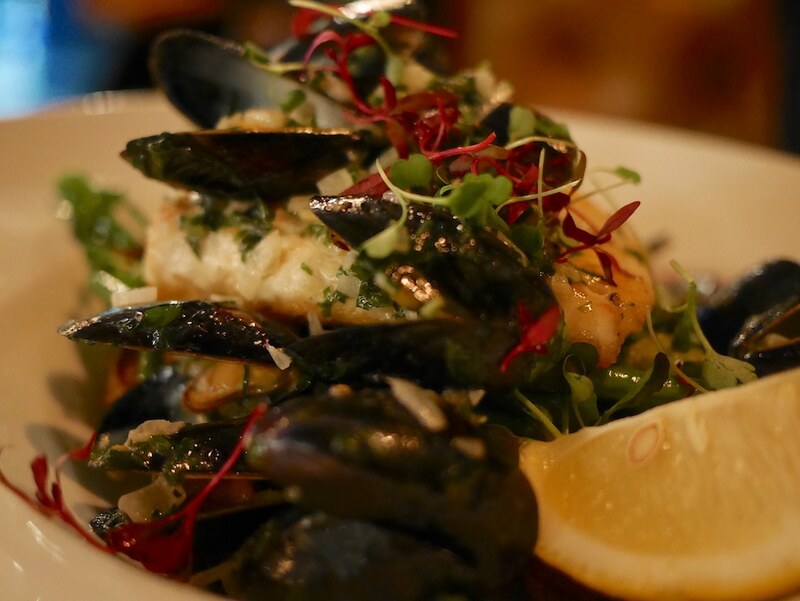 The food menu changes with the seasons and features in-house creations, speciality burgers, and classics with a twist. Vegans are well-catered for, as are carnivores and fish-lovers. This year’s winter dishes include middle-eastern inspired starters like lamb koftas with sumac, and aubergine pate with vegan brioche, along with mains like beetroot bourguignon, handmade sausages and free-range chicken supreme. To start, I went for the katsu halloumi with pineapple sauce, which had actual chunks of fresh pineapple in it. My halloumi had a richly-seasoned katsu crumb and was served in long, chunky sticks that were twice the thickness of fish fingers. 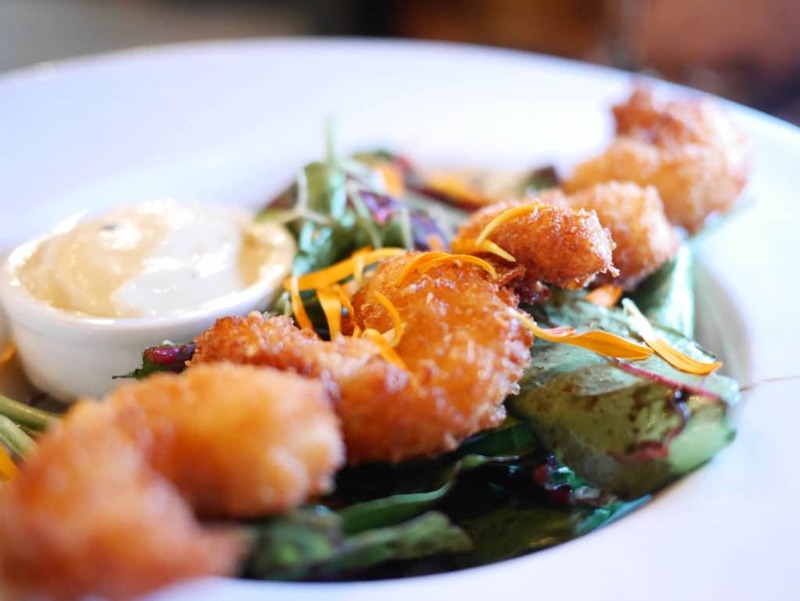 Tommy started with the coconut crusted king prawns with chilli mango mayo an dressed leaves. Big, juicy prawns were encased in a golden crumb that had a satisfying crunch and, again, it was the sauce that really set this starter off – his mayo dip had a curry-like warmth and fresh mango sweetness. Served with a generous helping of leaf salad, I could happily eat this for lunch with a side order of green herb rice. For his main, Tommy asked for a medium-rare 12oz ribeye with chips and Diane sauce, which was full of meaty, mushroomy goodness. His steak also came with a delicious marrow butter and a chipotle mayo. On the side, he chomped at parmesan smothered corn on the cob, which was so thickly dusted in cheese that he had to keep licking his lips, as if it was a sugary doughnut. A side order of leaf salad or seasonal greens would also go well with this dish. I chose the fish special, which was chalked up on a board by the bar. 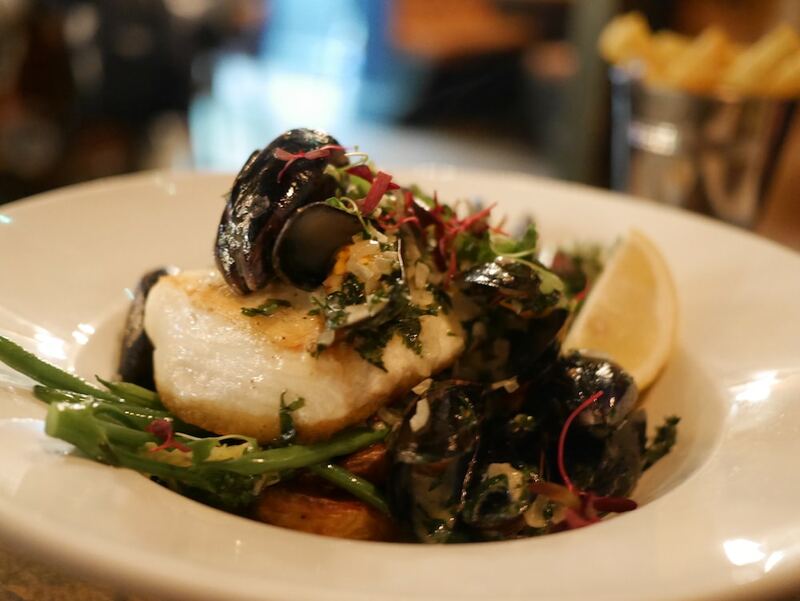 My pan- seared halibut was piled high with steamed mussels that were perfectly cooked and scattered with peppery micro herbs. Tucked beneath my fish were crisp French beans and roasted new potatoes that were soft and creamy with lovely burnished edges. The white wine and shallot sauce that coated my dish had me mopping my plate clean with the last of Tommy’s chips. 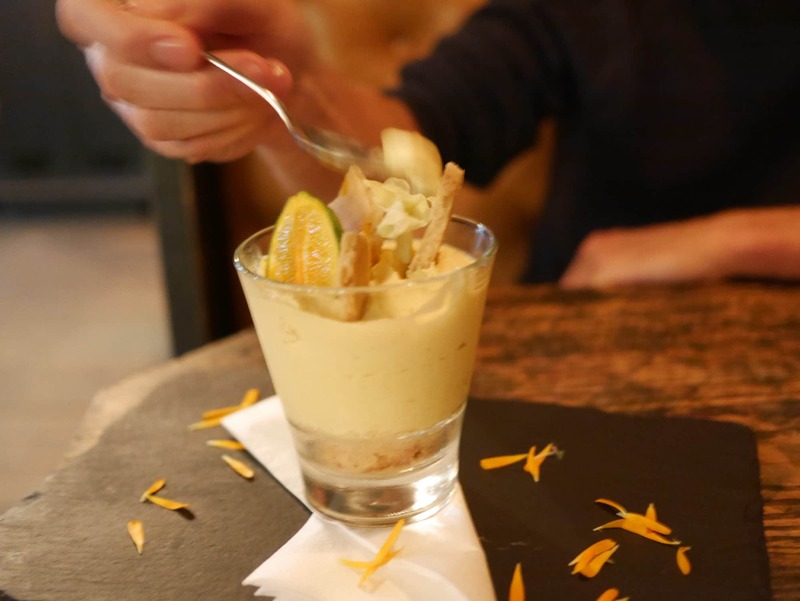 To finish, Tommy chose a fragrant Sicilian lemon mousse which, he said, had a mellow citrus zing that was just right for him. A layer of soft biscuit crumb had him digging down to the bottom of his dessert dish, while the shortbread pieces on top had a satisfying snap. 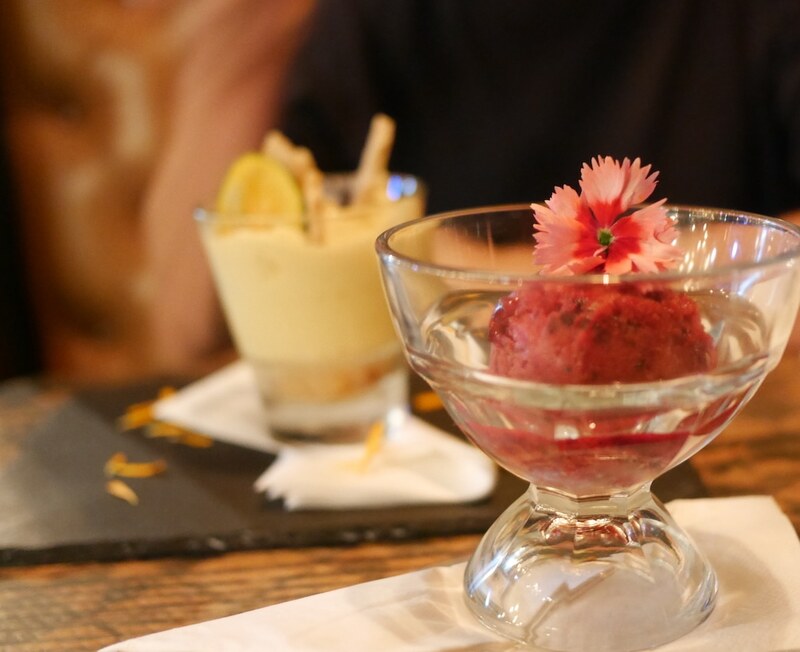 I opted for the berry sorbet, which was beetroot red and had big pieces of tart blackcurrant hidden within. Refreshing, sweet and sharp, it was right up my street and made a great accompaniment to a few stolen spoonfuls of Tommy’s lemon mousse. 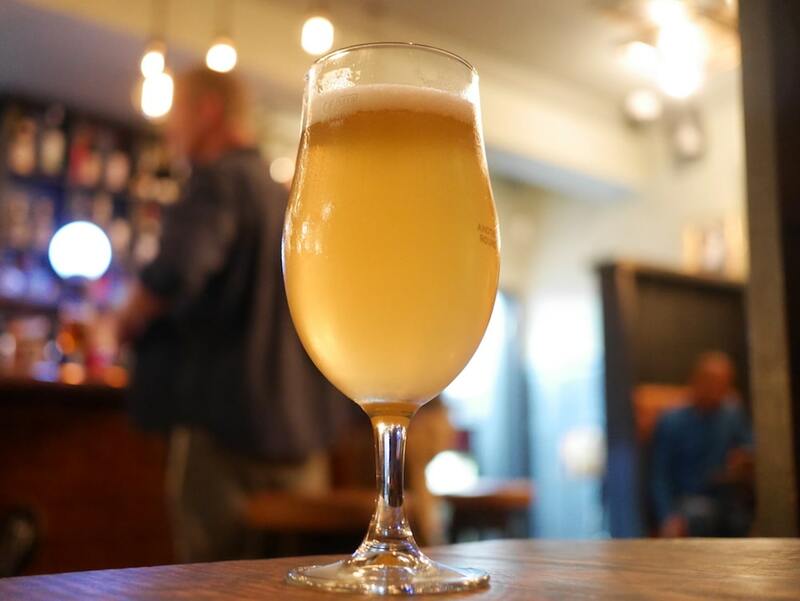 A locals’ pub, that isn’t just for locals, The Better Half is the sort of place where anyone would feel comfortable, whether you live around the corner or across the Channel. 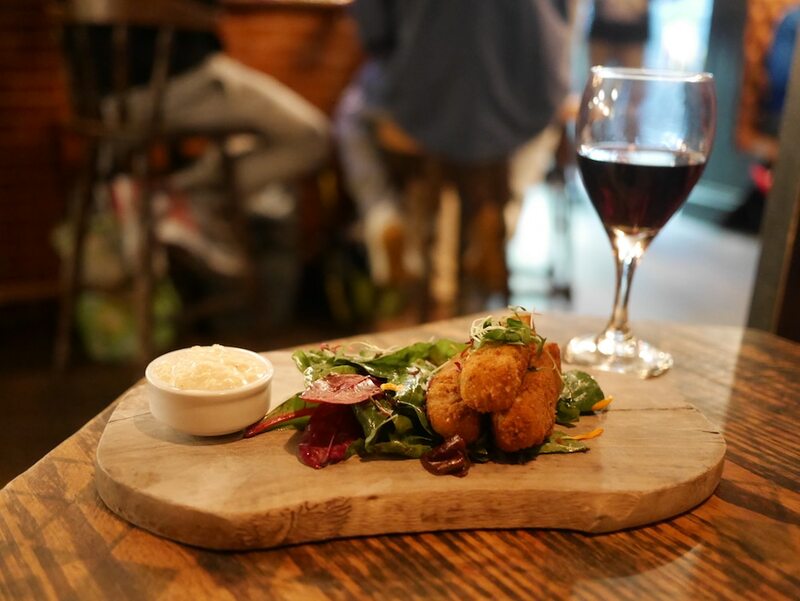 Drinkers and diners are welcomed in equal measure, and you could have a beer snack at the bar or book a table for a three-course feast. 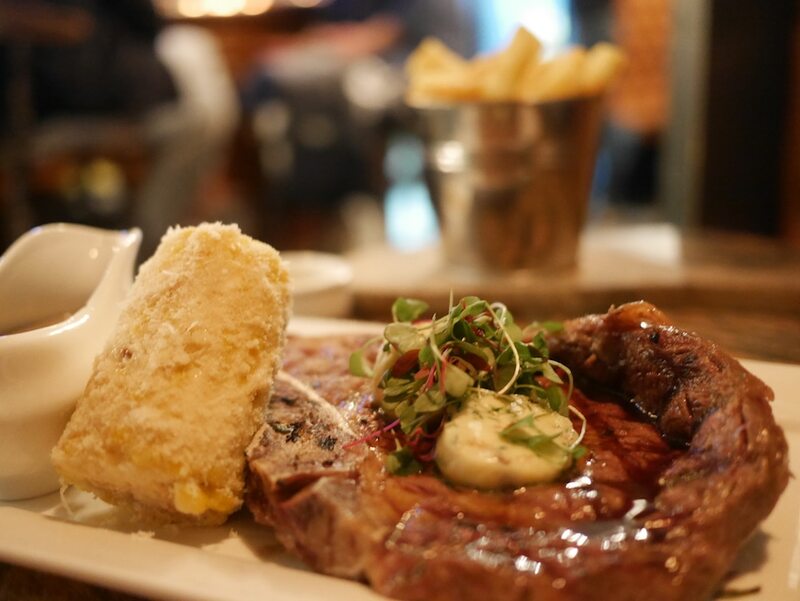 With generous portions, hearty mains and an unwavering welcome, it’s a perfect place to cosy up this winter.